SRINAGAR, FEB 6” The army is questioning three soldiers for their alleged role in the murder of a soldier - who was killed by terrorists - in Jammu and Kashmir in June last year. Sources said the men, all belonging to the 44 Rashtriya Rifles, are reportedly under detention after investigations revealed that they might have leaked the information about the movements of Aurangzeb. 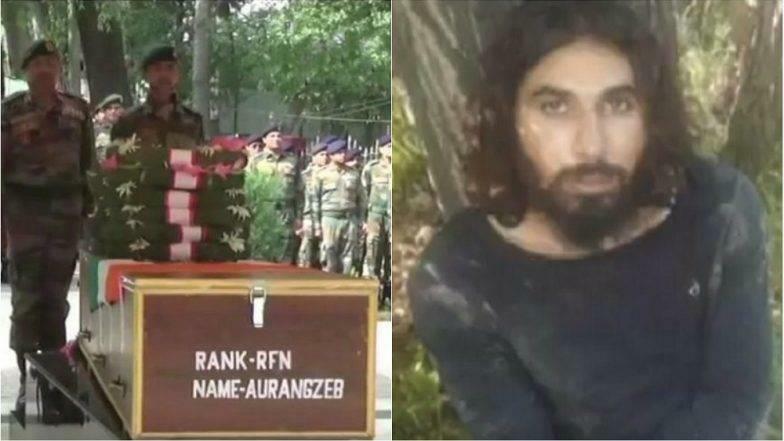 Aurangzeb, a rifleman with 44 Rashtriya Rifles - was kidnapped and shot dead by terrorists in Jammu and Kashmir's Pulwama when he was travelling in a private vehicle, on his way home in Poonch to celebrate Eid with his family. His bullet-riddled body was found in Pulwama by a team of police and Army. He was shot in the head and neck. Aurangzeb was part of an officer's team which killed Hizbul Mujahideen terrorist Sameer Tiger. He was awarded Shaurya Chakra posthumously. After his death, Defence Minister Nirmala Sitharaman and Army chief General Bipin Rawat had separately visited the family to express their condolences. Aurangzeb's father Mohammad Hanief joined the BJP in the presence of Prime Minister Narendra Modi at a public rally in Jammu and Kashmir's Samba on Sunday. Mr Hanief was a sepoy of the Jammu and Kashmir Light Infantry. The soldier's killing had led to an outpouring of grief in his village in Mendhar, 250 km from Sirnagar. About fifty men claimed that they left their lucrative jobs in Saudi Arabia to return permanently to Salani village, to join the police force and the army to avenge the death of their friend and fellow villager.